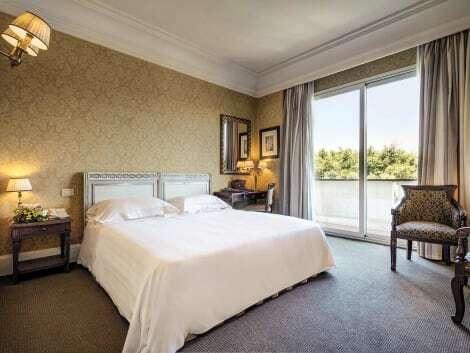 The 4-star Hotel Royal is found in an 18th century Palazzo, in the heart of Catania, within easy walking distance of the Roman amphitheatre and Duomo Cathedral. Enjoy traditional Sicilian cuisine and local wines accompanied by people-watching on the terrace, while the hotel’s 24-hour reception will help you make the most of your stay. Each room at Hotel Royal is inspired by the city’s history and includes free internet access, LCD TVs and private bathrooms. The 4-star Hotel Romano House is set in an 18-th century noble building in the centre of Baroque Catania, skilfully restored by a master architect. Rooms offer luxury furnishings, air conditioning, and free Wi-Fi. A roof garden with gym is available. Part of the Romano Collection, the Romano House is within walking distance of central Via Etnea and the Cathedral. At reception you can book a limousine with driver, a personal shopper, and airport shuttles. Il Riccio Restaurant serves Sicilian specialities and Mediterranean classics. You can enjoy international cocktails at the House Bar. With a stay at Liberty Hotel, you'll be centrally located in Catania, within a 10-minute walk of Benedictine Monastery of San Nicolo and Greek-Roman Theatre. 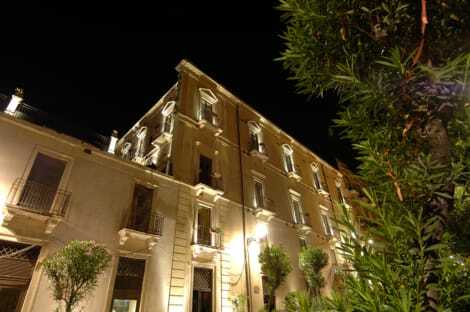 This 4-star hotel is 1.2 mi (1.9 km) from Angelo Massimino Stadium and 1.2 mi (1.9 km) from Massimo Bellini Theater. With a stay at Katane Palace Hotel in Catania (Borgo-Sanzio), you'll be a 4-minute drive from Via Etna and 8 minutes from Catania Cathedral. 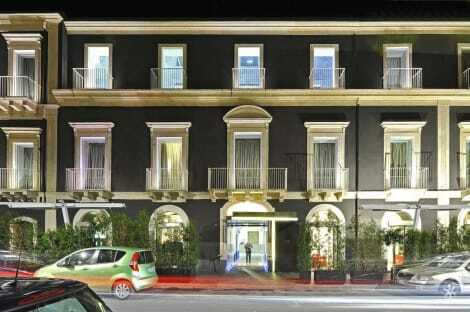 This 4-star hotel is 2.7 mi (4.3 km) from Catania Beach and 12.5 mi (20.1 km) from Etnaland.